These flat roof systems are not only pleasing to the eye, but they also reflect up to 90% of the heat that would normally enter your home or business. On many projects the new system can be installed over existing rooftops —eliminating messy tear-offs. 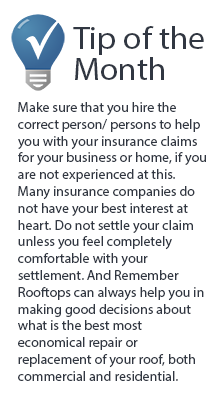 Flat roofs present the greatest roofing challenges in the Caribbean. They are notorious for leaking after time due to lack of flexibility and weathering. The solution is good prep work combined with the latest technologies in roofing membranes. Rooftops recommends and installs single ply seamless membrane systems that are far superior to the hot tar gravel and smelly asphalt applications of years past. These flat roof systems are uniquely formulated to withstand ponding water. Rooftops is fully certified and qualified to use Firestone Rubber Cover. This is a fully adhered EPDM roofing system with a long life expectancy. - Single Ply / seamless membrane which is cost-effective, environmentally friendly and exceptionally durable alternative. - 300% Flexibility allowing building movement, fitment to skylights, pipes, etc. Sarnafil is a thermoplastic, single-ply roofing membrane for a wide range of non-residential roofing and waterproofing applications. 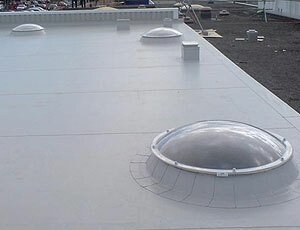 Rooftops offers a membrane for any application. - Available in energy efficient, EnergySmart® white. - EnergySmart Roof systems come in white, tan, light grey or patina green reflective, lacquer coated surfaces. - Proven to reduce the amount of energy required to maintain comfort in an air-conditioned building by decreasing heat flow through the building envelope. “Cool roofing systems” like these Sarnafil systems can save money, improve occupant comfort, increase a roof’s longevity, and reliably protect a building and its contents. From standing seam metal roofs to tile roofs, designer shingles, and flat roof systems – then there are specialty or custom roofs. We’re one of the few roofing companies in the Caribbean with the experience and craftsmanship to do your custom job right the first time! There are a wide variety of options beyond the general categories, including eco-friendly roofing and energy-efficient options.